Mexican Sugar Sulls are a personal favorite of mine and I'm happy to present the second "Dead Head Dangler" to you: A Mexican Day of the Dead Sugar Skull! These nifty little skulls come with highly evokative sculptural detailing with a tattoo twist. Flowers, swallows and even an ace of spades! 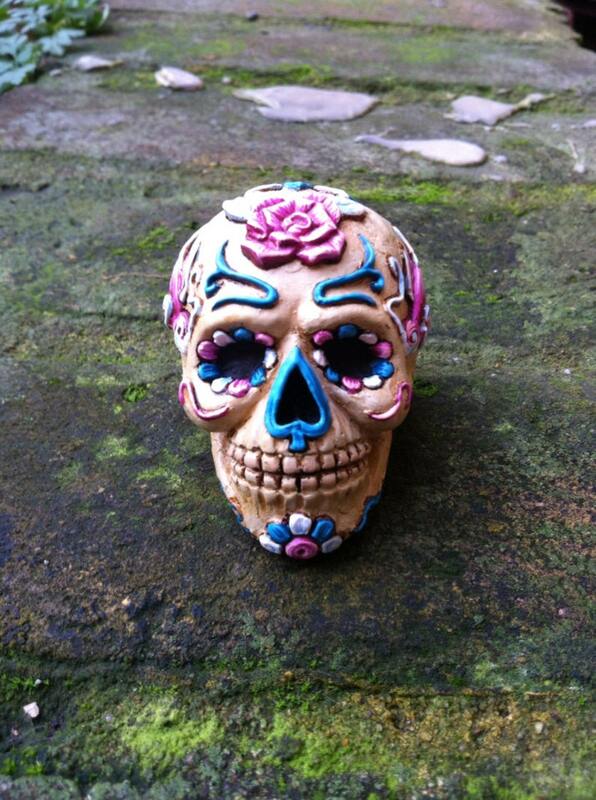 This is the Candy colour variant, natural skull colour with the detailing painted in pastel colours. Limited edition of 100, this is the "Candy" variant.